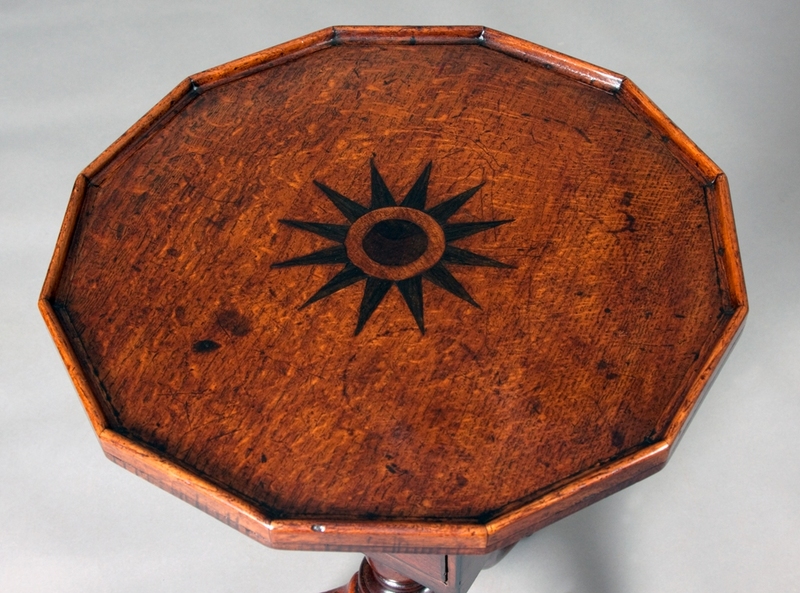 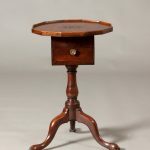 An unusual work table with a dodecagon tray top that is inlaid with a star which is formed from bog-oak. 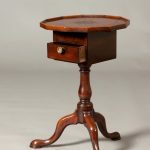 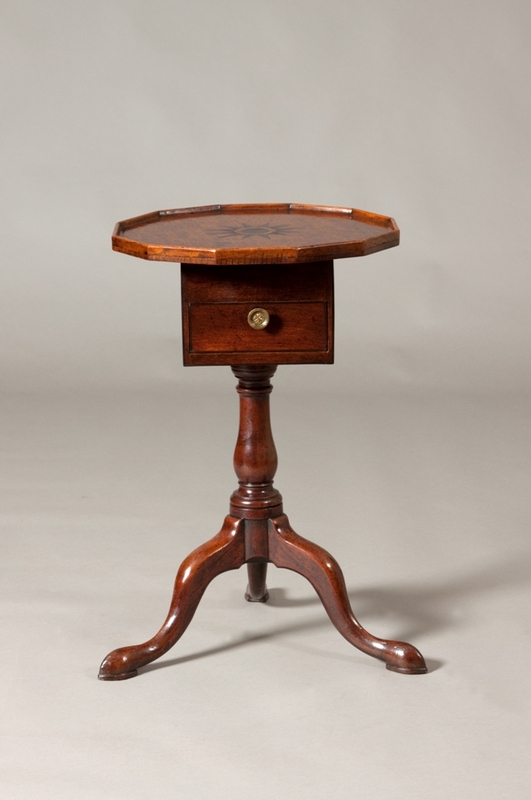 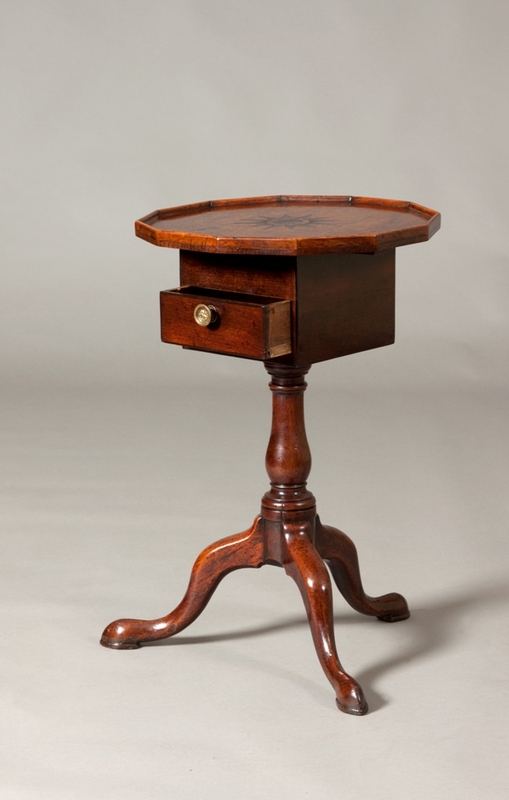 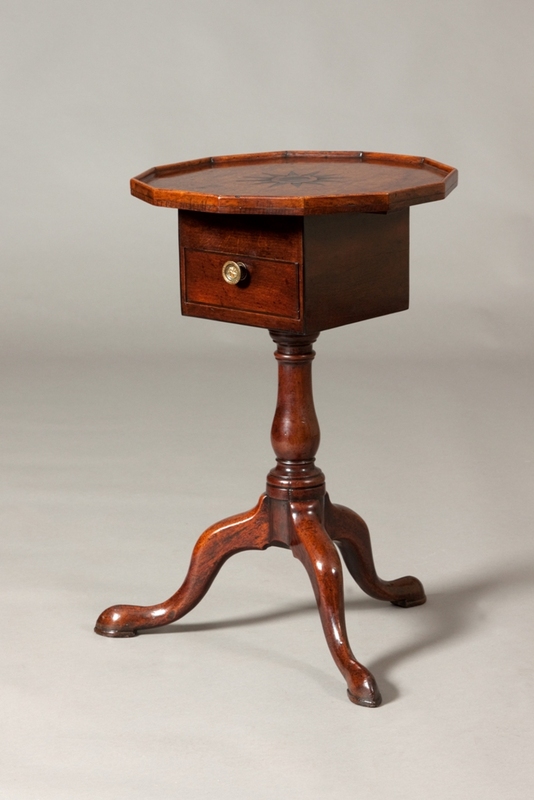 The base has a single drawer on a baluster shaped stem and cabriole legs. 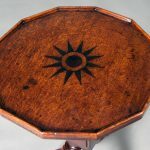 Made from oak, bog oak, walnut and elm.